A beautiful representation of all Canada has to offer, the Don Mills community is a true gem. Drive around and you will see the beauty of diversity. From the first homes of many new Canadian immigrants to the established communities of Canadians living here for generations. From schools scattered throughout neighbourhoods to the large young professional population, to the multitude of retirement homes. From the active non-profit organizations to the involved private sector, to the investment the city is putting in infrastructure. From the Ontario Science Centre to the Aga Khan Museum and the community hubs of a variety of cultural communities. This is also a community of crossroads. It is a community of opportunity. Globally, we are also at a crossroads of sorts, and at a point of opportunity. This is a time of great change, of technological advancements, of advanced knowledge, but also at times, of divide – cultural, generational, and socioeconomic. Now is when we decide to be on the side of history that learns, asks questions, empathizes, includes, acts. Earlier this year, I started with a vision. I wanted to bring the TED vision and mission to this community that is currently in a special place in its history. Now is the time for those within and outside this community to come together, share ideas and act together to shape its future. We passionately believe in the power of ideas to change attitudes, lives and ultimately the world. But this cannot be done alone. My vision soon became a shared vision - TEDxDonMills. Our theme for this year, inspired by our vision, became Designing Tomorrow. 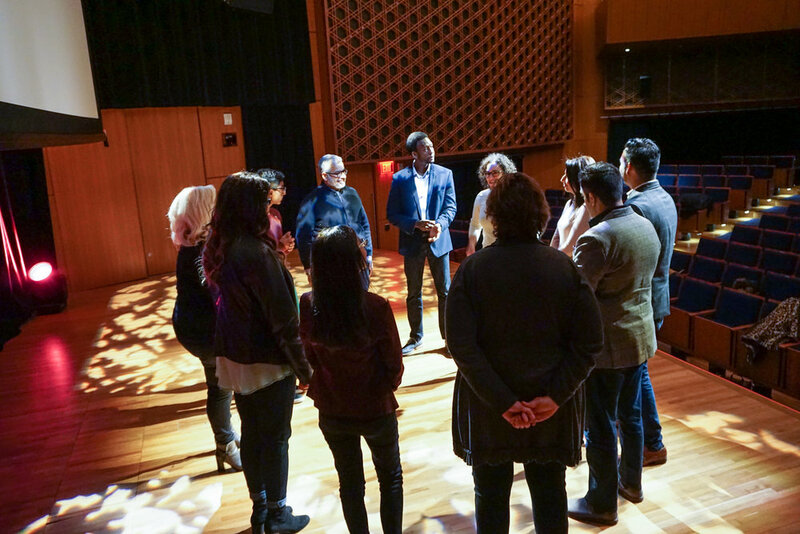 The Aga Khan Museum joined as our venue partner as we shared similar values of bringing people together to share knowledge, create dialogue and inspire positive change. A dedicated, passionate and unbelievably talented team was formed, each bringing their expertise and hours and hours of hard work to making this vision come true. We soon realized this became bigger than ourselves, TEDxDonMills was inspiring others across the community to come together, to join our community of change-makers. My team and I have carefully and purposefully worked to curate an exceptional group of change-makers who will inspire us from the stage through thought-provoking talks, each from a different view of Designing Tomorrow that is both locally and globally relevant – and widely relatable to all of us as human beings. Each speaker brings something unique on their own, but together they make magic. We hope you will join us to share ideas, to engage, to be inspired, to take action. To talk to those who are different than you, to learn from those who have different perspectives and experiences than you. To be inspired by those who have big ideas to share. When you join us at TEDxDonMills, you will forever be a part of our community of change-makers. Whether you live in Don Mills or not, you, through your presence and engagement are helping to create positive change. Please help us spread the word - share with your friends, colleagues, and families.